The La Grande Police Department provides the highest level of professional and comprehensive law enforcement services and emergency dispatch services to the La Grande community, with the primary goal of protecting life and property. We are the primary law enforcement provider to Eastern Oregon University, which has a daily service population of approximately 1,900 people. We provide 24/7 patrol coverage and comprehensive investigation services. Our department is comprised of two divisions: Operations and Communications. Operations includes Patrol, and Communications includes Dispatch. The criminal Detective Section consists of one full time detective and one detective sergeant that handle all major crimes and are part of the Major Crime Team (that includes all law enforcement agencies in Union County). The Parking Section has one enforcement officer who is responsible for parking enforcement and city ordinance enforcement. The Communications Division includes the emergency 9-1-1 center for all of Union County, and dispatches both emergency and non-emergency calls for service for the La Grande Police Department and other agencies. Communications is responsible for the La Grande Police Department records and evidence management. The 9-1-1 center is the 9-1-1 Public Safety Answering Point (PSAP) for all of Union County and provides emergency dispatch services for 22 law enforcement, fire and EMS agencies throughout the county. The Communications Division has three shift supervisors and is managed by the Communications Manager. 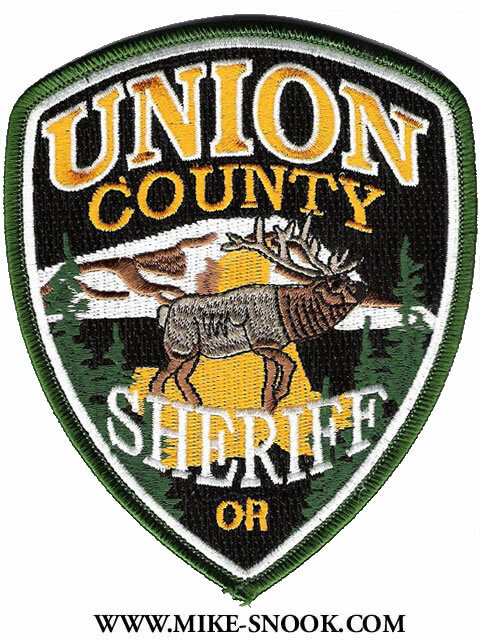 The department participates in specialized programs that consist of members of other Union County law enforcement agencies to include the Major Crime Team and Northeast Oregon Regional SWAT (NEOSWAT) team. We work in conjunction with other regional agencies to provide a Reserve Academy. The La Grande Police Department reserve program consists of citizen volunteers who receive law enforcement training and have sworn arrest authority. They assist regular officers in a variety of duties. We truly appreciate the dedication and commitment that our Reserves contribute to the department. The Citizen Volunteer Program augments the services of the La Grande Police Department. Citizen Volunteers can take on many roles within the department, and their services also benefit the community. Some of the potential roles of a Citizen Volunteer include assisting in the office, citizen patrols at community functions, surveillance, assistance at crime scenes, and education and awareness.